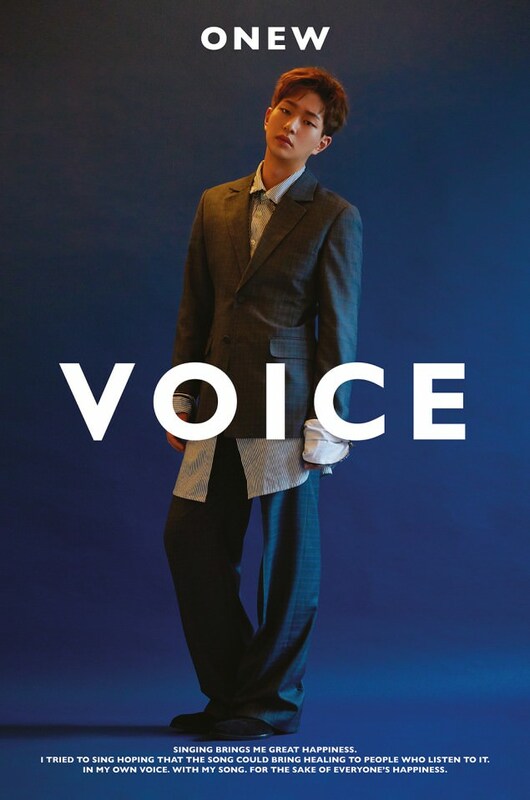 Onew from SHINee has just dropped his debut solo album. Apparently people around the world love his 'VOICE' -- he killed it on 23 international iTunes album charts, including in Mexico, Brazil, Bolivia, Chile, Peru, Finland, Russia, Singapore, Saudi Arabia, United Arab Emirates, Japan, Indonesia, Malaysia, Taiwan, Brunei, Vietnam, Thailand, Philippines, Hong Kong, El Salvador, Sri Lanka, Macau, and Nicaragua. The idol offers up 7 brand new tracks, all of them ballads. As of December 10th, he has gone to the army to serve his mandatory service. You might actually say "it's about time," as Onew is the fourth member of SHINee to release a solo album. This one comes scant weeks after his bandmate Key dropped 'Face,' which was Key's first as well. Since Onew has been with SHINee since their inception, around 10 years, he's earned the right. And, I daresay, he's learned enough to know exactly what he wanted his debut to sound like. The title track is "Blue." "Blue" is a grandiose piece, with organic orchestral moments and epic drops, where all is silent except for the tinkling of piano keys. He also uses piano to guide the rise and fall of the music. 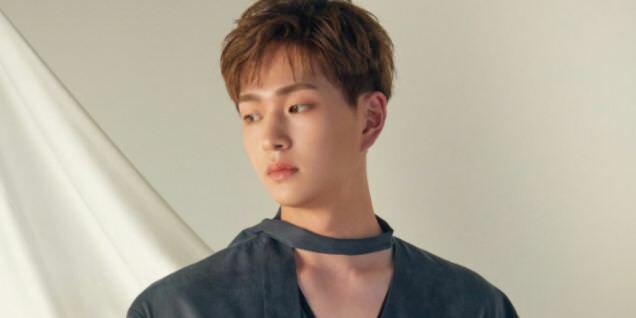 Towering above all of this is Onew's voice, and he's at the top of his game here, and his expressive performance may even squeeze a tear from your eye. Six other tracks follow "Blue." Most of these are mellow pop or soft jazz. There's a retro feel to a lot of this album, like you're in a jazz bar and you just paid for cover. The piano does tons to set that mood, and he uses it well. "Your Scent" has that jazzy feel to it, and eventually the bass drum comes in and pounds at the edge of the melody. "Under the Starlight" is a pop ballad. He manages to craft a different song from the first two though it has the pounding drum of "Your Scent." Right in the middle, we find a different kind of tune, "Sign." Still retro, but this time it's mid-tempo, bright, and cheerful. This is a huge difference as the other tunes were pretty heavy emotionally. "Illusion" is a heavier piece musically, with more rock elements. "Shine On You" is done to an acoustic guitar, and here he kind of chains his voice. He doesn't stray into the crashing highs like on the first three tracks, and it feels more tender for that. "Timepiece" has that same grandiose feeling like "Blue," but instead it opts for a similar rock format like "Illusion." Really, I think some of the electric guitar arrangements work quite well and give the ballads a bit more punch. But the point of this album is Onew's voice, which, like the title, is evocative and emotional, and totally under his control. He's got an ear for expression, and I like that about this EP. He knows how to sound heartbroken and desperate ("Blue"), or happy-go-lucky without a care in the world ("Sign"). For a first album, it's a pretty good testament to the skills of a pretty good balladeer. The MV fits the song like a glove -- it's quite blue. 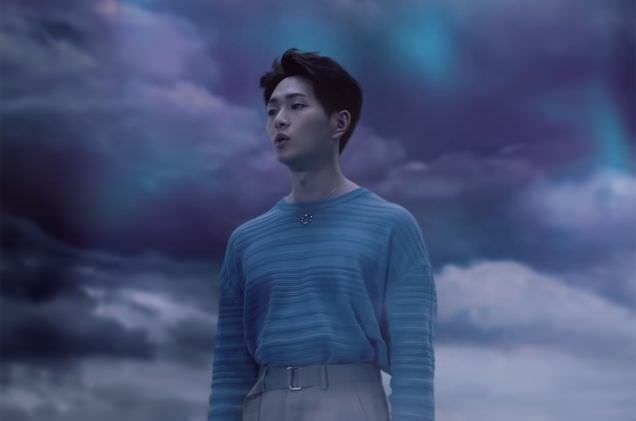 Onew walks through a strange world -- One and the entire MV are bathed in blue tones. But that's not all. There are orbs of clear glass to explore, a single white flower, and people standing blindfolded, dressed in the same white pajamas that Onew is. To top it off, occasionally he appears to be walking on water. The skies are stormy, the occasional meteor streaks across the sky. All of this is meant to evoke a sense of loneliness, and they do it well. The blue mutes most color and makes the MV anything but warm. As he does this, there's this sense that he's looking for something. And he finds it, too, but you'll have to watch the MV to find out what that is. Just know that the ending brings a ray of hope. They do a good job with this one. While it doesn't seem to make much sense, the images and cinematography combine to create a mood. The narrative isn't important, nothing's meant to be taken too literally here. Like any good song, they are trying to convey an emotion that might not be able to be expressed in a single word. In that, they've succeeded. You don't find yourself getting bored, awash in the emotions of the song, plus images that go right along with it. They've a created an MV that's every bit as grandiose and complex as the song it's paired with.